Optorium, the leading optical stores in Hyderabad ventured into the eye wear precision solution and fashion eye wear in the year 2004. 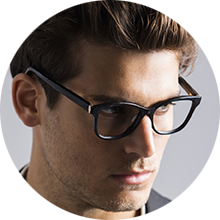 Providing customers with trending contemporary eye wear styles regularly coupled with latest eye care solutions. Fashion and glamour are driven by passion, not logic. Style and sophistication, on the other hand, are a little more cerebral, by nature. Optorium straddles the thinking and the impulsive sides of your mind with ease, bridging this imaginary expanse with a superlative range in spectacles, lens and sunglasses. 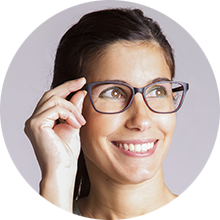 We at Optorium have combined the latest in eye wear and vision technology with advanced training to provide you with a truly superior level of service and care. Specs and Sunglasses available at our organisation take on a modern edge while serving all caters of people for every professional, student and kid in you. 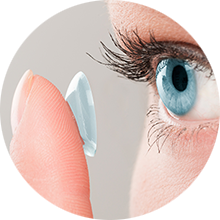 We also portray a large selection of contact lenses. Name it and we have it. 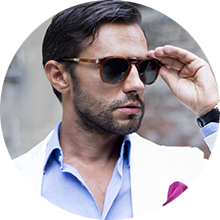 Highest quality standards styled with the most fashionable trends in eye-wear. "One stop eyewear store for my entire family. Great collection of frames for every person." "Been their customer for the last seven years. I'm truly amazed with their level of customer service and support in this busy world." 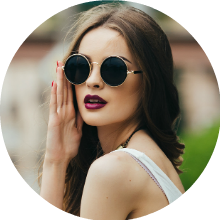 "When I want the latest trends in eyewear fashion be it frames or sunglasses, I always visit optorium. Love their collection." Optorium presents a vast range of designer frames that are suitable to embellish any hi-fashion look. We keep in mind the on-going fashion trends to make you look the best. Also, providing you with wide range of choice in colours, materials and finish we strive to satisfy the fashionista in you. 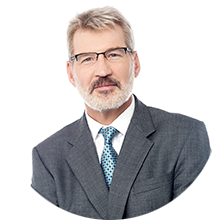 Smart and business like executive frames have an important role to play, and a positively empowering effect on the way you conduct business. Keeping this in mind our endeavour is always to give our clients the best look in their professional front. Sophistication is not always a function of price. With our wide range of choice we help you choose well, and carefully an economical frame that caught your fancy. We make sure that our client looks proves just as impressive as with an expensive one.